A classic book that traces Muhammad Ali's political development in the sixtiesWhen Muhammad Ali died, many mourned the life of the greatest sportsman the world had ever seen. In Redemption Song, Mike Marqusee argues that Ali was not only a boxer but a remarkable political figure in a decade of tumultuous change. Playful, popular, always confrontational, Ali refashioned the role of a political activist and was central, alongside figures such as Malcolm X and Martin Luther King, to the black liberation and the anti-war movements. Marqusee shows that sport and politics were always intertwined, and this is the reason why Ali remained an international beacon of hope, long after he had left the ring. 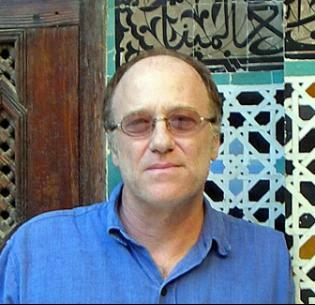 Mike Marqusee was born in New York City in 1953, emigrated to Britain in 1971 and has now lived in London for more than 35 years. Among his eight published books are the prize-winning 'Anyone But England: an outsider looks at English cricket' (first published in 1994, revised and expanded 2005) , 'War Minus the Shooting: a Journey through South Asia during cricket's World Cup'(1996) , 'Redemption Song: Muhammad Ali and the Spirit of the Sixties' (1999) , 'Wicked Messenger: Bob Dylan and the 1960s' (first published 2003, revised and expanded 2005) , 'If I Am Not for Myself: Journey of an Anti-Zionist Jew' (2008) and 'Saved by a Wandering Mind: Poems' (2009) . In addition to his writing, Mike has been active for several decades in numerous campaigns for social justice. In the early 80s he was a youth worker and trade union activist. For twenty years he was an active member of the Labour Party, and a long-time editor of and contributor to Labour Briefing. In 1995, he helped set up Hit Racism for Six, the campaign against racism in cricket. After leaving the Labour party in 2000, he helped establish both the Stop the War Coalition and Iraq Occupation Focus. On February 15, 2003, he was a speaker at the the half million strong anti-war demonstration in New York City. He is currently a member of the NUJ, and lives in Hackney with his partner Liz Davies. As well as his books, Mike has published articles on a wide variety of topics in (among others) : The Guardian, The Independent, the Daily Telegraph, The Observer, London Review of Books, Index on Censorship, BBC History Magazine, New Left Review, Red Pepper (in UK) , The Nation, Colorlines (in USA) , The Hindu, India Today, Hindustan Times, Indian Express, Frontline, Outlook (in India) . Mike has also published longer articles and essays in a number of book-length collections and anthologies, including: 'Nothing Sacred: the New Cricket Culture' (Two Heads, 1996) , 'Race, Sport and British Society'(Routledge, 2001) , 'The New Ball' (Mainstream, 2000-2002) , 'Beyond September 11th: An Anthology of Dissent' (Pluto, 2002) , 'Following On: Post-Colonial Cricket' (Routledge, 2005) , 'Selling US Wars' (Olive Branch Press, 2007) and 'A Time To Speak Out' (Verso, 2008) . A chapter of his work is anthologised in 'The Picador Book of Cricket' (2005) , and there is a lengthy interview with Mike in 'Muhammad Ali: Through the Eyes of the World' (2003) . An essay on US sport in a global context has been reproduced in a widely used Prentice Hall textbook / reader entitled 'Common Culture' (6th Edition) edited by Michael Petracca.